The Nauyaca Falls is a stunning ecotourism spot 10 kilometers from Dominical on the southern Pacific side of Costa Rica (Puntarenas). The land is owned by the Don Lulo family and they have worked hard to conserve the area, maintaining the beautiful Costa Rica flora and fauna and rushing waterfalls. The trail is about 4 kilometers long and runs through the rainforest. There are hiking, truck riding and horseback riding tours to the falls. In fact, Nauyaca is one of the most famous areas to go horseback riding in Costa Rica. There are upper and lower falls. The upper falls offer a beautiful view, but no swimming. It’s 40 meters high! Most visitors spend most of their time at the lower falls, where they can swim have a picnic. There is an option to jump off the rocks into the fresh water, but only if the guide is available to help you. Costa Rican breakfast at Don Lulo’s House. After getting the chance to visit the mini zoo located by the restaurant, the trek continues for 25 minutes. When you arrive at the waterfalls, you may swim, climb and jump to the clear, natural pools. The trek consists of one more stop at Don Lulo’s house. They have a tasty, well-deserved lunch and cup of coffee before returning to the starting point of the tour. 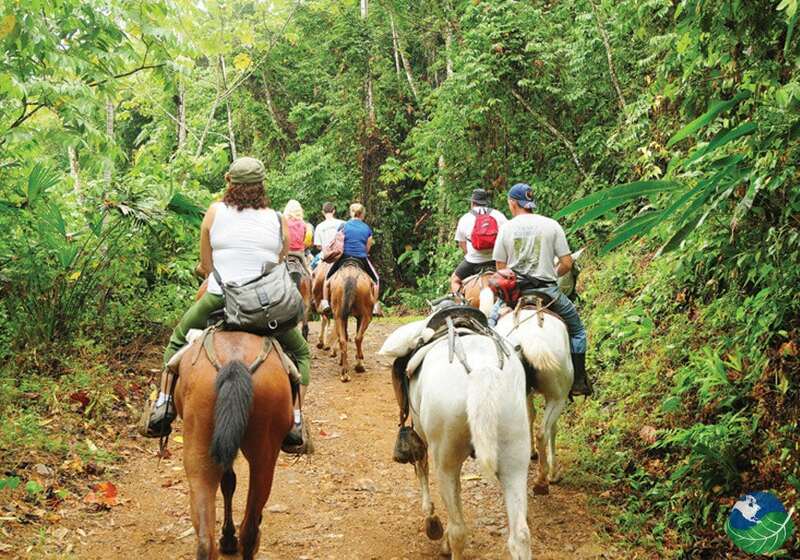 This horseback riding tour is one of the best and most enjoyable experiences that you can find in Costa Rica. You can choose to hike to the falls as well. The hiking tour takes 1-1.5 hours. Watch our for mud and horse poop along the way. Make sure to pack water and snacks! You can pay $25 and get the falls in a pick-up truck if you are not inclined to hike or take a horse. It’s the fastest and easiest route to the falls. While you’re in the area, Dominical has plenty to offer you during your stay in Costa Rica. Dominical is home to one of the most popular Costa Rican Beaches for surfers around the country, Playa Dominical. You can find some of the best birding in Dominical’s lush, tropical rainforest. Spend some time in the Marino Ballena National Park experiencing whale and dolphin watching. 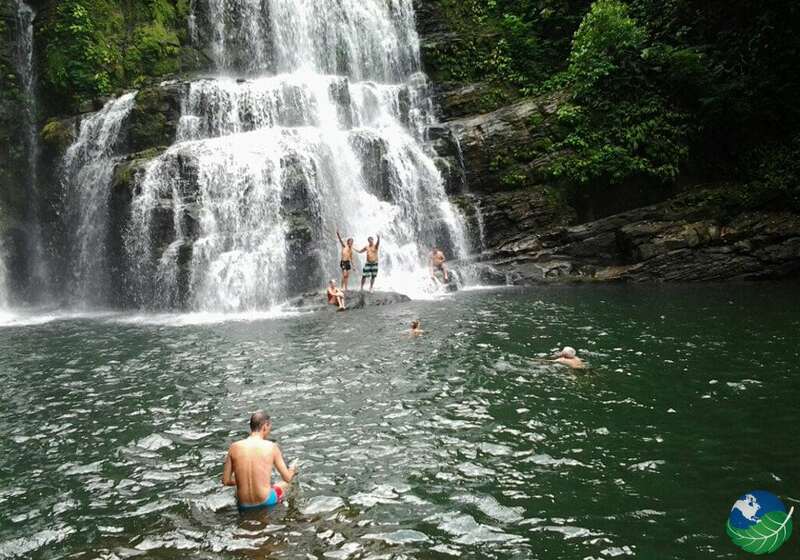 Don’t miss out on what Dominical has to offer before or after your trip to Nauyaca Waterfalls! The road is mostly paved, but there is a patch of dirt road. If you’re arriving in a rental car, you need 4-wheel drive. The Nauyaca Waterfalls tend to get very crowded, so we recommend getting there early. Beat the crowds! The walk to the falls is moderate. We recommend you be in moderate shape to reach them without any issues. 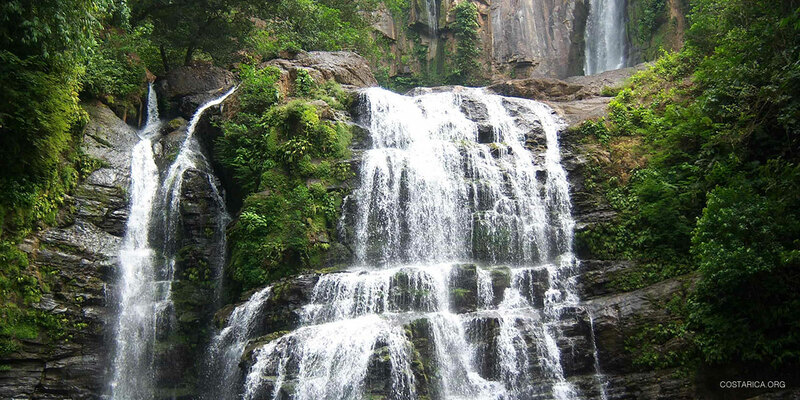 Getting to Nauyaca falls can be tricky if you are not renting a car. The main road to the falls is paved. Part of the road is gravel, however, so you will need 4-wheel drive. Some tour companies will take you there from places like Manuel Antonio and Uvita. Don Lulo offers transportation from Dominical. 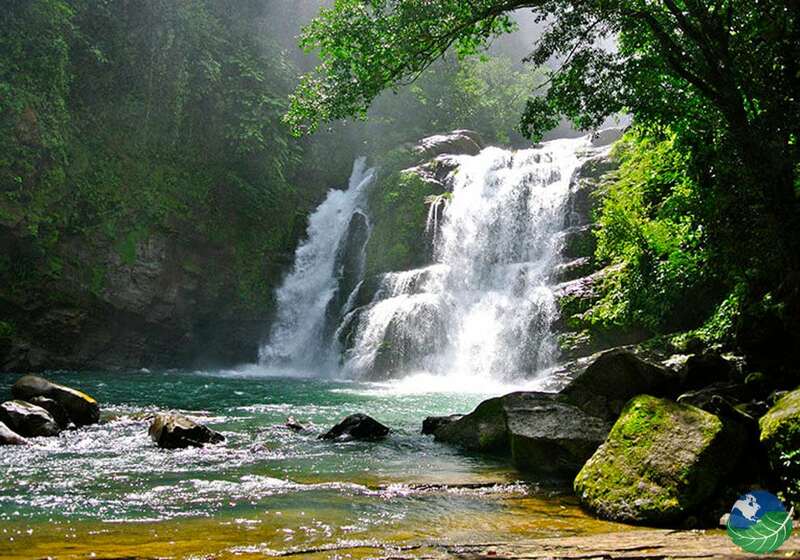 Nauyaca falls are about 45 minutes from Manuel Antonio and 25 minutes from Uvita.